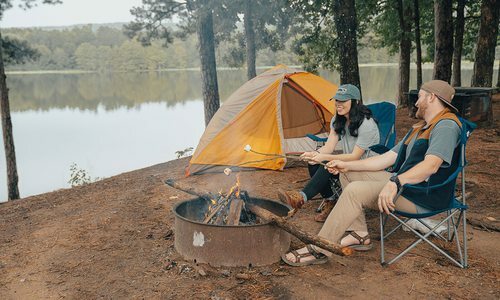 Make it your mission to explore as many of these state, national and local parks as you can this summer, and use our guide as your road map to adventure. Photo by Chuck TraversStockton Lake is perhaps best known for its favorable sailing conditions, which is why sailors flock here each year. Missouri’s natural spaces are some of the state’s best assets, and there are more to explore than you might realize. In addition to your favorite neighborhood parks, our region is packed with state parks and even a few national park properties that preserve huge swaths of our most beautiful places. Make it your mission to explore as many of these state, national and local parks as you can this summer, and use our guide as your road map to adventure. Bennett Spring is the fourth largest spring in the state and a prime destination for rainbow trout fly fishing. Photo by Chuck Travers. At Bennett Spring State Park in Lebanon, there is no shortage of activities for families. With five campgrounds, a nature center, an Olympic-size swimming pool, playgrounds, a park store and more, this park will keep you as busy as you want during your visit. 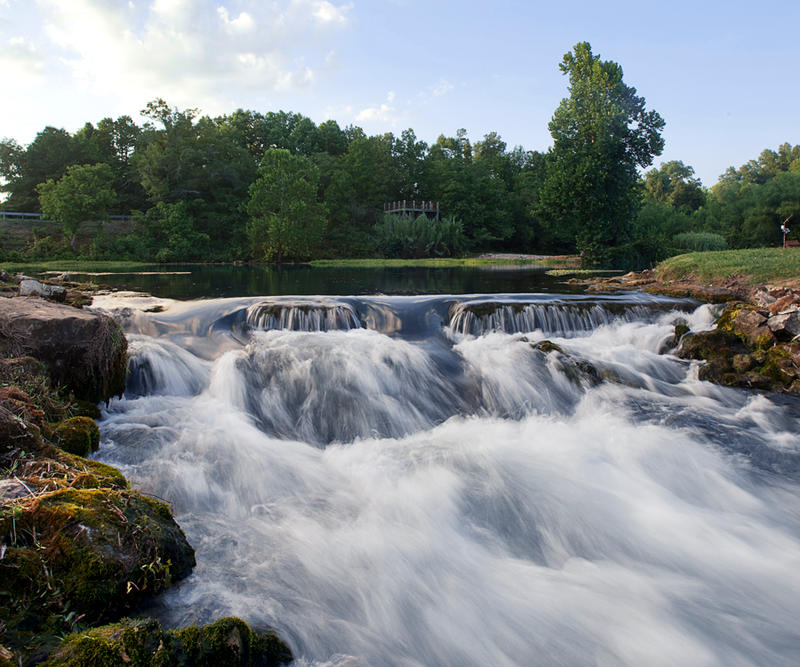 With a daily flow of 100,000,000 gallons of water, Bennett Spring is the fourth largest spring in Missouri and is well known for the rainbow trout that are stocked daily from the nearby Missouri Department of Conservation hatchery. Fly-fishing is a popular activity here, and if you’re lucky enough to land a few, the Dining Lodge inside the park will cook your catch. After you try your hand at fishing, cool off in the swimming pool, or take your littlest swimmers to the wading pool. Inquire about canoe or raft rentals and take a leisurely float down the Niangua River, where you’re sure to spot some wildlife. Stop in the Nature Center to learn about the history of Bennett Spring. Or, simply take a stroll along one of the many trails inside the park. Overnight accommodations include camping or lodging. For campground information call 877-422-6766. For lodging, choose from motel rooms or individual, duplex and fourplex cabins. Call 417-532-4307 to book lodging. Fishing enthusiasts will love the opportunity to line up along the spring branch at Bennett Spring State Park and catch a rainbow trout. The season is open from March through October, and fishing is allowed during daylight hours. The spring is stocked daily, and trout tags can be purchased in the park store. Novice and experienced anglers can improve their skills by scheduling private casting lessons or attending an eight-hour school offered on select dates each year through the Jim Rogers Fly-Fishing School. Lessons for kids 15 and younger are free. Call 417-532-4307 for more information. Stockton Lake is known for sailing, but if you're a landlubber, waterfront campsites at Stockton State Park offer unbeatable views of the lake. Photo by Chuck Travers. The proximity to Stockton Lake makes Stockton State Park appealing for park-going families who enjoy spending time on the water. Amenities here include camping, lodging, playgrounds, a swimming beach, walking trails, a full-service marina, a sailing school and a floating restaurant. The campground at Stockton State Park features 70 sites, some basic (non-electric) sites and others with electricity. There are also five additional basic sites that are accessible by foot only. Because of the limited accessibility, these sites are more secluded, and folks love them because they are right next to the lake and offer serene privacy. If camping isn’t your thing but you still want to feel like you’re “roughing it,” ask about the log camper cabins. Each cabin has a queen-size bed and a futon, and five of them also have carpeted lofts for sleeping bags, which kids love. They do have electricity, heat and air, but there is no running water. Cabin guests are welcome to use the bath house nearby. The cabins also have fire pits and picnic tables outside. Other nightly accommodations include one- and two-bedroom duplexes and a three-bedroom lake house. Click here or call 877-422-6766 to reserve campsites. Call 417-276-4259 for basic park information. For boat and WaveRunner rentals and more information on the Snak Shack restaurant, call the marina at 417-276-5329. 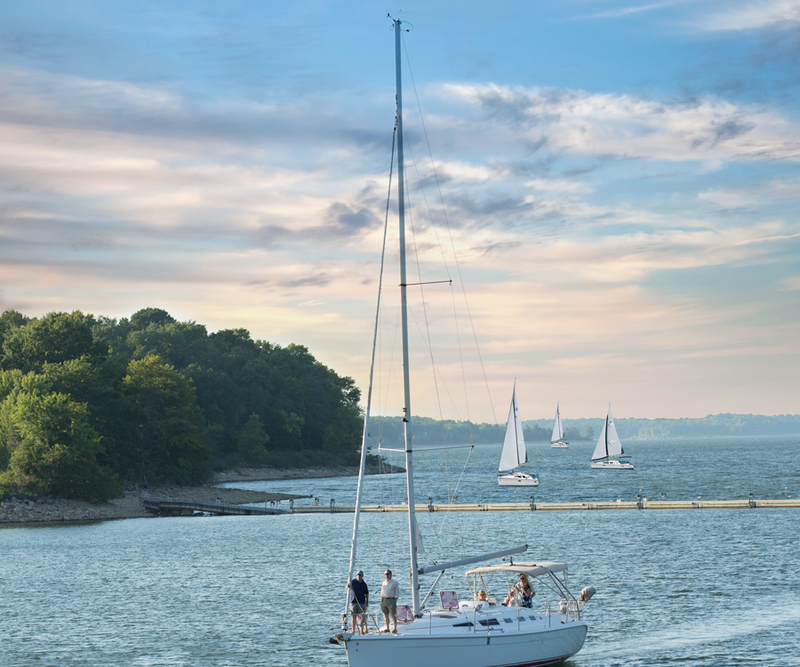 Stockton Lake is perhaps best known for its favorable sailing conditions, which is why sailors—and folks who want to become sailors—flock here each year in hopes of catching a breeze on this beautiful lake. Programming includes sailing lessons taught by an American Sailing Association–certified instructor and licensed U.S. Coast Guard captain. There are beginner courses as well as advanced courses for experienced sailors. The marina offers sailboat rentals for folks who are ASA-certified. Call 417-276-5329 for more details. View the Grand Gulf Sink from the overlook. Get there by taking the 0.1-mile boardwalk interpretive trail, marked in orange. Photo by Mary Ellen Chiles. 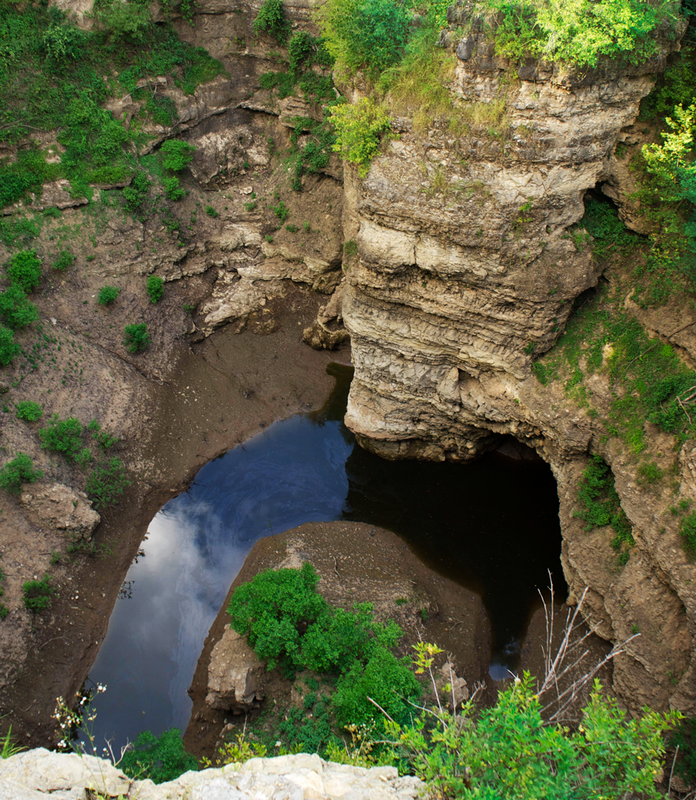 There’s nothing in Missouri like Grand Gulf State Park, a natural wonder some call the “Little Grand Canyon.” Its outstanding feature is a collapsed cave system about a mile long with up to 130-foot-tall rock walls—a marvel to view. An interesting park anytime, Grand Gulf’s best viewing is in late fall, winter and early spring when trees are bare. The park is nearly two-and-a-half hours from Springfield, so pair your visit with Mammoth Spring State Park in Arkansas, about 9 miles south. The moderate Natural Bridge Trail (blue), just under a mile, leads around the rim and has a few steep climbs. The quarter-mile Interpretive Loop Trail (red) with 119 wooden steps into the gulf includes four overlooks. More adventurous hikers wanting to get close to the action can explore the base of the canyon where there is no official trail. During wet seasons you might see a waterfall and water gathering in the gulf basin. Runoff from Grand Gulf disappears underground and emerges at Mammoth Spring. If your time is limited, skip the hikes and view a nice section of the gulf from easy scenic overlooks near the picnic area. Travel tip: Take a map or print out directions. GPS might not quite get you there, and cell service is spotty to nonexistent. The park’s unique geology is extreme evidence of southern Missouri’s vast cave system. Once a deep cave that started forming 1 to 2 million years ago, according to the Missouri Department of Conservation, the gulf formed from the collapse of the cave’s roof more than 10,000 years ago. The piece that didn’t collapse, about midway through the gulf, formed a natural bridge. Spanning 250 feet, the bridge lets hikers walk through the opening from the canyon floor. Photo tip: Bring your wide-angle lens! Big Sugar Creek State Park is a day-use park, open from sunrise to sunset and maintained primarily for the preservation of its natural resources. Because of its distinctive natural features and unique trees and shrubs, more than 1,600 of its 2,082 acres are designated as the Elk River Breaks Natural Area. One of the most unique features of the park is the existence of the Ozark Chinquapin tree, which is found in very few states and is rarely spotted, as it has been threatened by disease. Visitors get the chance to spot one of these unique trees while hiking the Ozark Chinquapin Trail. There are more than 345 types of plants and more than 130 kinds of birds living in the park. According to mostateparks.com, the park is under development and could include some facilities, such as a picnic area, a canoe launch and a camping area available for organized youth groups. But for now, the park is maintained for its natural setting and provides visitors a place to escape the hustle and bustle of everyday life and simply enjoy nature. Many folks visit Big Sugar Creek State Park just to hike the Ozark Chinquapin Trail. The trail is 3.25 miles and winds through the Elk River Breaks Natural Area. It is rugged with varying degrees of surface, from dirt and mud to gravel and rock as well as some potential low-water crossings, steep grades and bluff edges. Along the trail, visitors can expect to see some rare species of plants, such as the Ozark Chinquapin tree, prickly pear cactus, and the Ozark corn salad wildflower. An old schoolhouse sits at the trailhead. French for “apple of the earth” (aka potato), Pomme de Terre State Park is a pleasant lake recreation area about 50 miles northwest of Springfield not to be overlooked. The park has 240 campsites—more than any other state park in the system, says spokeswoman Steph Deidrick. With bluffs and blue waters, it’s a great place to fish, hike, boat, swim and get back to nature without the heavy traffic of larger lake areas. At 7,800 acres, Lake Pomme de Terre (Called “Pomm-ee” by some anglers), is one-fifth the size of Table Rock Lake. But with two locations, the Hermitage side and Pittsburg side, the park offers everything a lake area should. The Pittsburg side has boat rentals through a marina, which includes a grill for dining. A shelter, picnic areas, trails, swimming beach and campground are all convenient. Similar amenities, apart from the marina, can be found on the Hermitage side. Explore by land along two main trails. (One, Indian Point Trail, is named for the pointed spit of land where it ends in a lake overlook.) Or explore by boat! Pomme de Terre, considered a premier lake for muskellunge fishing, attracts bass, crappie, walleye and catfish anglers, too. For a lake experience without too many tourists, Pomme de Terre is the perfect alternative. No tent or desire to set one up? No problem. Reserve an affordable yurt instead. Pomme de Terre’s two yurts on the Pittsburg side are like camping cabins, only circular and covered with fabric. There’s no plumbing—you share the campsite bathroom—but each comes with beds (sleeping up to six), electrical outlets, a microwave and small fridge. Outside find a grill, picnic table and fire pit. Or reserve the lake house for up to six people on the Hermitage side. You'll also find yurts at Table Rock and Lake of the Ozarks. Looking for lake life with proximity to, well, everything? Try Table Rock State Park. 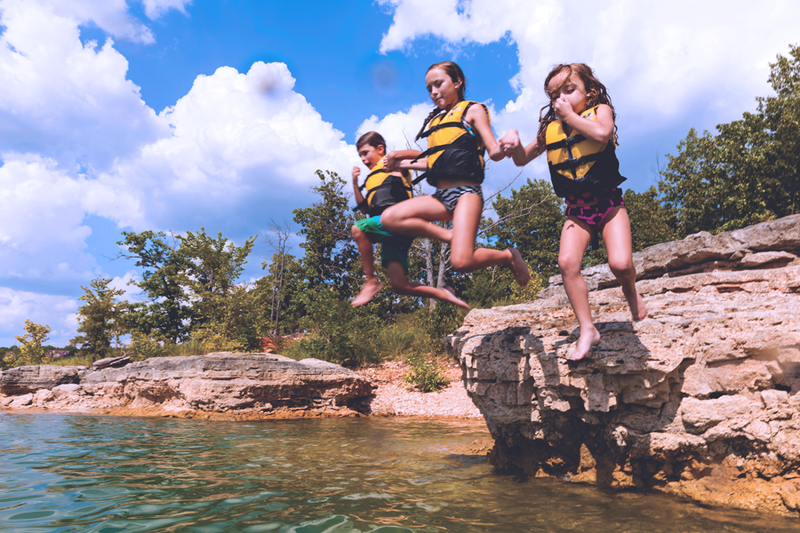 Just a few miles southwest of Branson and bordering the northwest shoreline of Table Rock Lake, the 356-acre park offers outdoor recreation on land or water. Established in 1958 when the dam was built, it has an easy 2.2-mile paved path that hugs the shoreline—perfect for kids with skates or bikes and anyone looking for a pretty lake-view stroll. For nature walks, try the natural surface Chinquapin Trail that takes hikers through glades and woodlands. 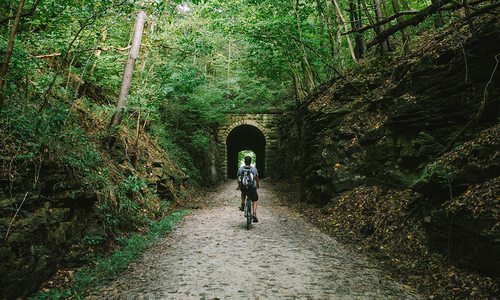 Popular with mountain bikers is the White River Valley Trail System, made possible thanks to a partnership with the U.S. Army Corps of Engineers, according to State Parks spokeswoman Steph Deidrick. That’s not all. This park has two campgrounds plus a yurt you can rent. The park’s centerpiece is the full-service State Park Marina where recreation enthusiasts can rent all manner of watercraft, like pontoons, speed boats, bass boats and WaveRunners. Add a tube or waterskis, and ask about fishing guides and catamaran sailing excursions. The marina even has a dive shop. Hungry? They’ve got you covered with Danna’s BBQ and the Oasis Hawaiian Shaved Ice. You can rent bikes here, too. There’s more to Table Rock State Park than water recreation. The rugged White River Valley Trail System is popular with hikers and mountain bikers. The system features color-coded paths with various difficulties, from the challenging red loop for experienced cyclists to the green loop with elevations reaching nearly 1,200 feet. Seasonal waterfalls, an old farmstead and views of Table Rock and Taneycomo lakes make this trail system worth exploring. Mammoth Spring gushes nearly 10 million gallons every hour. With a rushing 1887 dam, a 10-acre lake, a walking trail, a historic depot and remnants of an old mill, what’s not to love about scenic Mammoth Spring State Park? Technically the park is in Arkansas, but 500 feet from Missouri’s southern border and 15 minutes from Grand Gulf State Park is close enough. Mammoth Spring, the largest in Arkansas, is impressive; although you can’t actually see the spring gushing nearly 10 million gallons of water an hour. It lies more than 70 feet beneath its pool, which flows into a lake and over the dam. If you go, stop first in the visitors center for park information. Then walk the loop lake trail. Start by crossing the dam bridge toward the old dam generator building. (Tip: For a different view of the dam, walk behind the generator building to the banks of Spring River.) Continue around the lake toward a small marina where paddleboats and kayaks are available to rent. Explore the restored 1886 railroad depot before following the trail west toward a shelter and play area. Reaching the spring pool, take a side trail to the tower overlook. The loop trail continues, crossing two bridges where the pool flows into the lake. Finish at the visitors center with nearby picnic-perfect tables. Plan a weekend stay. Visit the National Fish Hatchery, float or fish the river, or shop boutique and antique stores in the town of Mammoth Spring or Hardy. There get lunch at Pig ’n Whistle, a quirky London-themed diner. Biggers Bed & Breakfast near Hardy provides cozy luxury accommodations with an incredible bluff view of Spring River. Or just go for dinner at Bluff Steak House. Don’t miss the sunset! More accommodations are available in the town, Mammoth Spring. Roam alongside the free-range bison in the native tallgrass at Prairie State Park just northwest of Springfield. Not quite two hours northwest of Springfield, Prairie State Park features tallgrass prairie landscapes from when early settlers crossed the plains. If you enjoy wide open spaces, big skies and a wilderness experience, this park is for you. Here you’ll find tall swaying grasses, seasonal wildflowers and a place where bison and elk freely roam. Start in the Regal Tallgrass Prairie Nature Center to learn about the prairie’s history and about the park’s wildflowers and animals, including the 100-head bison herd. Explore the park via one or more trails. Each provides visitors with various experiences, whether that is following a path once walked by American Indians or watching for wildlife, including coyotes, quail, hawks, elk and white-tailed deer. Pack a picnic—you’ll want to stay all day. Or stay overnight at the backpacker’s campsite on the Coyote Trail. Check the park’s calendar before you visit. Interpretive programs and guided hikes are just two more ways to enhance your visit. Prairie State Park is teeming with wildlife, like endangered greater prairie chickens, a den of coyote cubs, 150 species of birds including northern harrier hawks—and of course the growing number of elk and the herd of bison. Don’t forget your camera. Each season produces a variety of incredible wildflowers and prairie grass—some 8 feet tall by summertime. Not only that, among 500 species of plants in the park, 25 are considered rare. The drastic change in landscape surrounding Roaring River State Park is perhaps its most notable characteristic. Visitors will find themselves at the edge of the Ozark Plateau and then traveling downhill into a valley just as they make their way to the park entrance, dropping 400 feet in the last mile alone. The unique setting is the result of the White River cutting a deep valley through the plateau over thousands of years and exposing steep cliffs and interesting rock formations on each side. It’s a geology lover’s paradise! The simple beauty of this park draws visitors each year, and the overnight accommodations and amenities are great for family adventures. The park features campsites, rustic cabins, the Emory Melton Inn and Conference Center and its restaurant. Other amenities include a swimming pool, playground areas, access points for trout fishing and seven different trails, the longest of which is the Fire Tower Trail at 3.75 miles. Most of this trail is located inside the Roaring River Hills Wild Area and is a good challenging trail for adventure-seeking families who enjoy exploring nature. Roaring River Spring is located inside the park, and many visitors come here just to take in the dazzling beauty of the cool blue water. Call 877-422-6766 or click here for reservations and more information. The Roaring River Spring is one of the most prominent natural features inside the park. 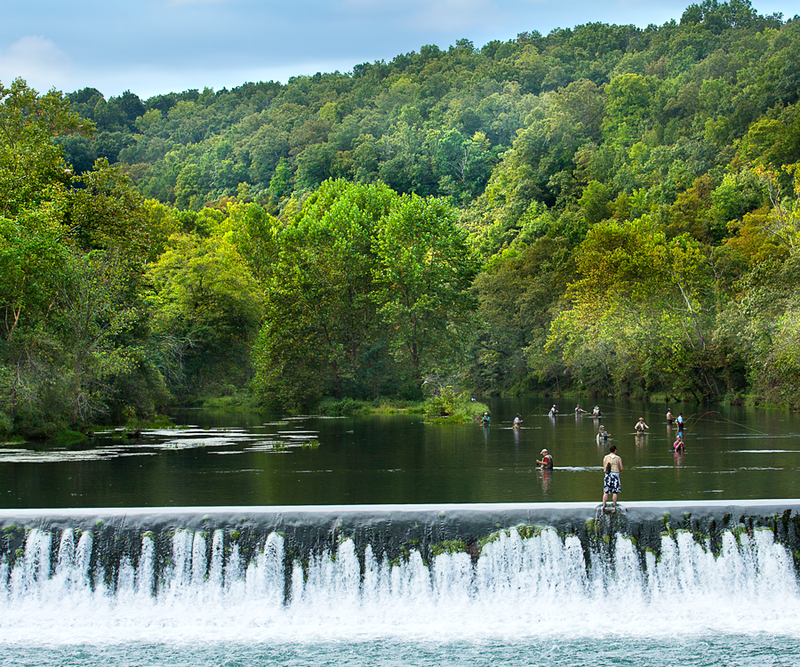 Known for its turquoise blue color, the spring is the 20th largest in Missouri, and its clear water flows from a cave and feeds the Missouri Department of Conservation hatchery where trout are raised and released daily into the river. The park features excellent trout fishing, and the stream is stocked daily. The addition of three new parks brings the total number of Missouri state parks to 91. These newest parks will have minimal development and will cater to nature lovers, hikers, floaters, anglers and campers. They will be day-use parks, with no fee for visitors. Ozark Mountain State Park is the smallest of the three new state parks at 1,011 acres. It is in Taney County, northwest of Branson along Highway 465. The park includes 2.2 miles of frontage along Roark Creek. The landscape includes grassy ridges, flowering fields and five hills—commonly referred to as “knobs” here in 417-land—that offer gorgeous views of Branson and surrounding areas. The park also includes an old one-room schoolhouse that once served the former community of Garber. Bryant Creek State Park is in Douglas County near the Ozark County line, about 22 miles southeast of Ava. It covers 2,917 acres, including nearly two miles along the clear, spring-fed Bryant Creek, a tributary to the North Fork River that is known for smallmouth bass fishing. The park consists of scenic, mature oak and pine forests, steep bluffs and deep hollows, old-growth trees, mosses and ferns. It’s a great spot for folks who enjoy exploring the backcountry. The largest of the three new state parks is the Eleven Point State Park, located in Oregon County near Alton. It consists of 4,167 acres and includes six miles of river frontage on the Eleven Point River, a national Wild and Scenic River corridor. The park also features 14 tributary streams, several springs and 3,000 acres of native woodlands and forests and bluffs overlooking the river. An interesting landmark in this park is a house on what was historically known as the Pigman Ranch, which hosted the Beatles in 1964 while they were on a break during their tour of America. 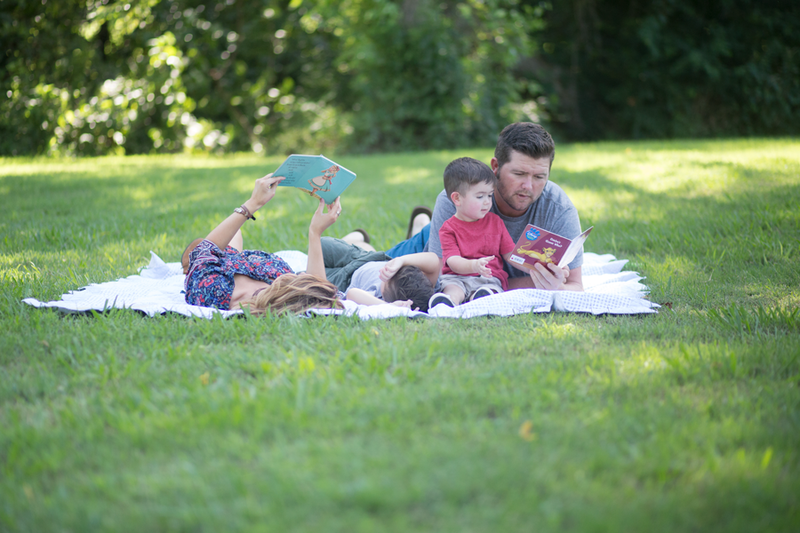 Morse Park in Neosho is the perfect place to relax with the whole family. Active park-goers can stroll along the 1.73-mile paved trail or toss a Frisbee around the disc golf course. Photos by Katie Whitney. The largest park in Neosho, Morse Park is a fun spot to hang out, have a picnic, take a walk, go fishing or play some sports. One of the most notable features is the huge train car turned flower box that is planted and maintained by the city each year. It even earned Neosho the title of the “Flower Box City” in the 1950s. The park is maintained by the city of Neosho and hosts soccer, softball and baseball leagues. The park’s sand volleyball court and 18-hole disc golf course are free and open to the public. Morse Park is within walking distance of downtown Neosho, so it’s a handy spot for folks to get some exercise during the day in the form of a walk around the 1.73-mile paved trail, a game of volleyball with friends or a round of disc golf. There are four pavilions for a shady reprieve, and a campground across the street is the perfect spot to pitch a tent. Call 417-451-8090 to make reservations. Hickory Creek, a White Ribbon Trout Stream managed by the Missouri Department of Conservation, flows through the park and has three access points where you’ll see folks fishing for brown or rainbow trout and bass. The stream recently flooded, so if you visit, be aware of ongoing cleanup efforts throughout the park. Morse Park has several options for sports lovers, but the 18-hole disc golf course is a favorite for many visitors. The course is free and open to the public; it is user friendly and mostly level with little walking distance between holes. Disc golf—also known as Frisbee golf—is played much like the regular sport of golf, except instead of hitting a ball with a club, you throw the disc or Frisbee. The score is calculated similarly also; the player with the fewest throws wins. 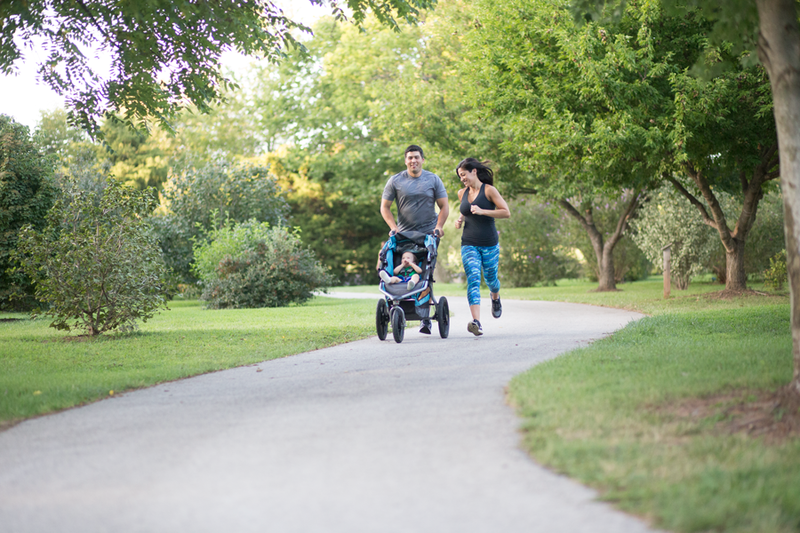 The South Creek Greenway has paved trails perfect for bikes and strollers. Photos by Katie Whitney. Merge multiple themes into one incredible greenspace and you have Nathanael Greene/Close Memorial Park, home of the Springfield Botanical Gardens. Find plenty of space here for lounging on a blanket, hanging out in a hammock, flying a kite and hosting a picnic. Like to landscape? Wander through Springfield Botanical Gardens’ collection beds where something different blooms every season. Visit the Springfield–Greene County Botanical Center where helpful staff can answer questions. Start—or end—your bike ride in Close Memorial Park, a trailhead for South Creek Greenway. Take your pup for a stroll around Drummond Lake to enjoy the antics of ducks and geese. A statue of the lake’s namesake, Anne Drummond, is one of many park sculptures. Kids love numerous botanical-themed play areas, including a giant butterfly near the Dr. Bill Roston Native Butterfly House. 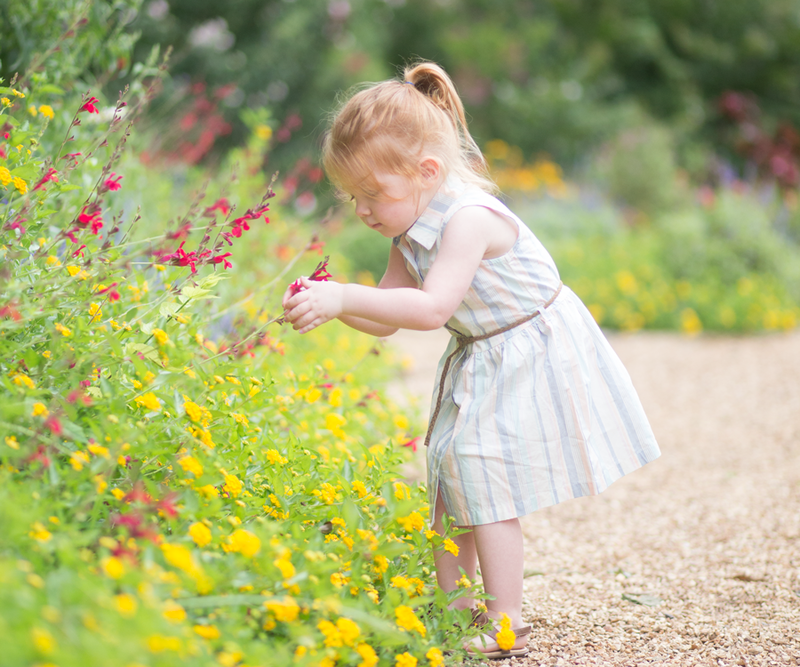 Butterflies are popular with park-goers, says Botanical Center Coordinator Katie Keith. “Mid-June is the best time to see the most species and all stages of the life cycle,” she says. Go back in time or go international on the Nathanael Greene side. 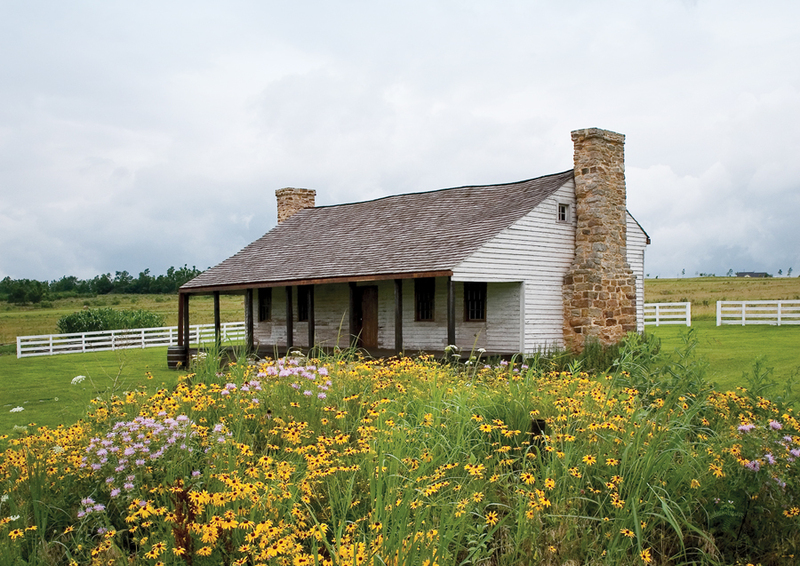 The Gray-Campbell Farmstead, depicting 1860s life, includes the oldest Springfield cabin and a one-room schoolhouse. Nearby, the Mizumoto Japanese Stroll Garden ($3 entry) is a lovely place for quiet relaxation. Spend an hour or spend a day; it’s hard to beat this southwest Springfield park. Glean landscape ideas for all seasons at the Master Gardeners’ Demonstration Garden, says Katie Keith. Find more inspiration among Springfield Botanical Gardens’ themed collection landscapes, including the shaded hosta garden near Drummond Lake, a spring delight. The lily garden, boasting 800 varieties, brings color to June and July. Other gardens are planted with iris, peonies, roses, dwarf conifers and a variety of native plants. As summer ticks along, the ornamental grass gardens grow tall, becoming natural mazes for curious children, Keith says. 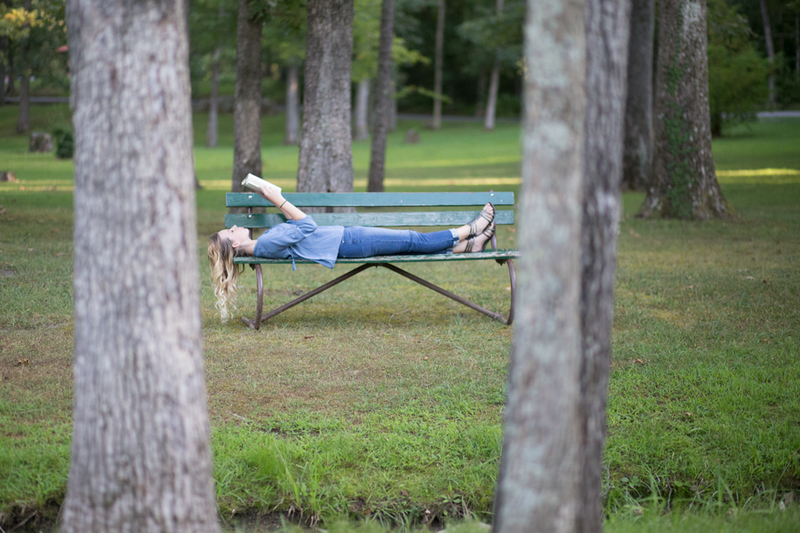 Dunnegan Memorial Park is a quiet hideaway—a perfect place to enjoy a little solitude. Photo by Katie Whitney. As far as city parks go, Bolivar’s Dunnegan Memorial Park is something out of the ordinary. Here, resident fowl including ducks, geese and a pair of swans share greenspace with a more exotic bird species. That’s right. This small town city park boasts a bevy of peafowl, one of the park’s more unusual attractions. Less well-known is the fact that the park is also home to several melanistic black squirrels with red tails—a subgroup of the eastern gray squirrel. As far as city spokesman Darin Chappell knows, no other Missouri town has a breeding population of that variety, normally found in the northeast and Canada. That’s not the only reason the park is worth a visit. A one-mile drive showcases what the park has to offer, including plenty of play areas and walking and bike trails. More trails are planned for the park, and four shelters can be reserved. The gazebos are popular for family reunions and gatherings, Chappell says. The park also has a small lake, and although fishing isn’t normally allowed, the city sponsors occasional catch-and-release events. Holiday lights keep people enjoying the park during winter months. How many other city parks are home to peacocks roaming wild? None that Darin Chappell knows, at least not in Missouri. It’s one reason Dunnegan park draws people from out of town. A lot of folks like to collect the colorful tail feathers, Chappell adds. Between 20 and 30 peafowl live in the park and pretty much fend for themselves. They’ve been in the park for years, he says. 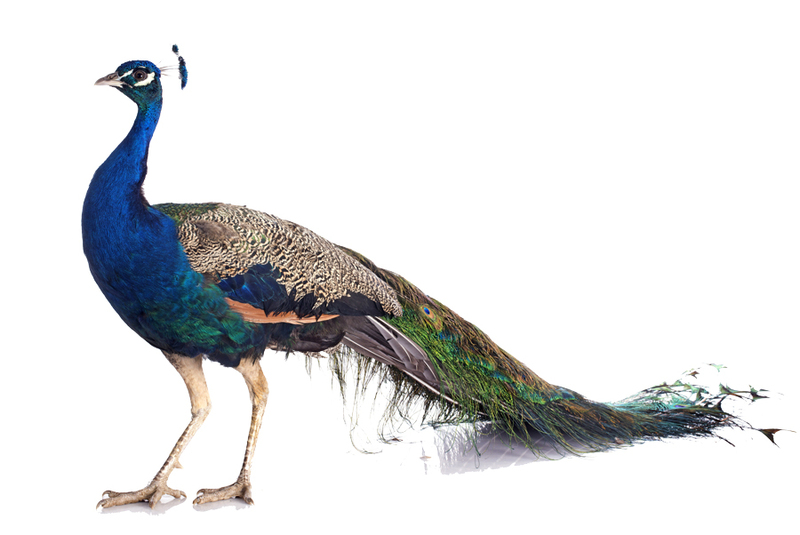 People remember seeing peacocks as far back as the 1950s and ’60s. “They were introduced by someone, somewhere along the line,” Chappell says. You don’t have to leave the state to take a national parks tour. Missouri has six! Plus dozens of national trails and sites. The majority are smaller parks, like Wilson’s Creek National Battlefield, says the park’s superintendent Ted Hilmer. “I don’t know if [people] appreciate the great group of parks we have in Missouri,” he says. Summer is a perfect time to check them out. We made it easy with this national parks itinerary that starts right here at home. Find out more about Missouri parks and museums here. 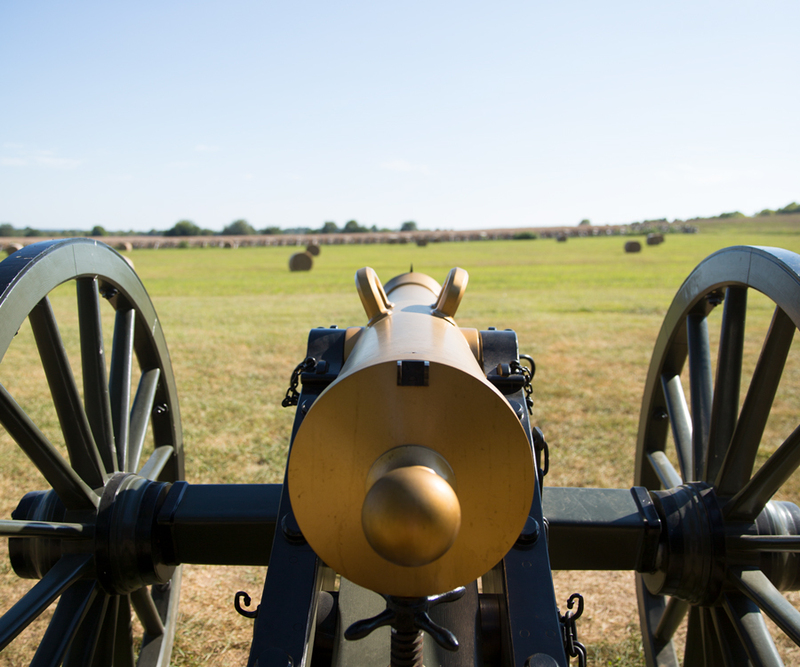 A few minutes southwest of Springfield, Wilson’s Creek National Battlefield offers more than you’d imagine. The 1861 Civil War battle was the first to occur west of the Mississippi, just one thing you’ll learn at the visitors center museum. An easy drive through the 1,920-acre park includes a stop at the Ray House where docents introduce visitors to 1800s homestead life and what it was like to watch the battle unfold. Hilmer says summer is a great time to catch weekend living history demonstrations in which reenactors set up camp with Civil War-era weaponry—a hit with visitors. The Trail of Tears national park is in New Mexico but the northern route of the trail passes through Springfield. A walkable section near Golden Avenue and Republic Road is maintained by Ozark Greenways. 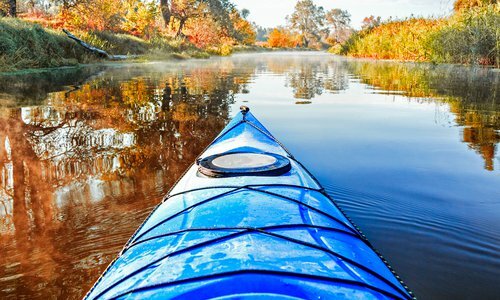 Grab a paddle to explore the 80,000-acre Ozark National Scenic Riverways. Designated a national riverway by President Lyndon Johnson in 1964, the Current and Jacks Fork rivers were the first such waters and lands to be federally protected. This national treasure includes forests, glades, historic mills and sites, more than 300 caves and numerous freshwater springs. If you visit the downtown park along the Mississippi River during summer 2017, expect construction. The grounds and permanent museum exhibit are being renovated. However, visitors can enjoy new galleries in the Old Courthouse, watch the film Monument to Dream, ride a tram to the top of the arch and take a riverboat cruise or helicopter ride. Another national park in St. Louis pays tribute to Ulysses S. Grant. The Civil War general and 18th president met his wife, Julia Dent, at her St. Louis home, White Haven, which is now part of the Ulysses S. Grant National Historic Site. Visit the Lewis & Clark Boathouse and Nature Center in nearby St. Charles to learn more about this historic trail which started in the St. Louis area. Continuing the presidential theme, explore Independence, home of the Harry S. Truman National Historic Site. Here, visitors can tour Truman’s family’s farm in Grandview, where he lived for 11 years. Located in an old historic mill in Independence, the museum is worth a stop to learn more about the national Sante Fe, California and Oregon Trails, all of which started in the area. In nearby St. Joseph is the Pony Express National Museum. Old West tales romanticized the short-lived Pony Express, which transported mail between Missouri and California. It was from St. Joseph that, on April 3, 1860, the first Pony Express rider carried mail 2,000 miles to Sacramento while a rider from Sacramento carried mail to St. Joseph. 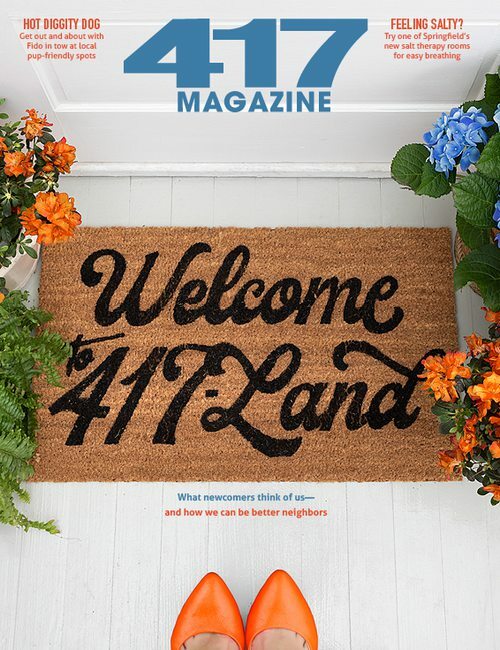 Finish your loop of the state by traveling back to 417-land. The George Washington Carver National Monument and park features a statue of Carver as a boy. The renowned agricultural scientist and humanitarian—best known for his research of peanuts—grew up on this land. The Battle of Carthage Historic Site is the location of one of the earliest battles fought in the Civil War, which took place on July 5, 1861, in southwest Missouri. The site preserves a small area of the battlegrounds, which include a peaceful meadow and Carter Stream, which looks much the same today as it did many years ago. An informative kiosk is on site, and group tours are available upon request. Nathan Boone was the youngest son of Daniel Boone, American pioneer, explorer and frontiersman. Nathan was a businessman, surveyor, hunter and trapper, but he is best known for his life as a soldier. The house at this historic site was the final home of Nathan Boone and his wife, Olive. They are both buried in a nearby cemetery. The site also includes remnants of outbuildings, cemeteries, a picnic area for visitors, two easy walking trails and a hiking trail, plus 370 acres of the original homestead. The Osage Village State Historic Site is the location of a once-thriving Osage Indian village where 2,000 to 3,000 people lived from about 1700 to 1775. Tools, pottery and weapons have been discovered here that tell the story about the daily lives of the villagers. Visitors can enjoy a walk along the trail and the interpretive stops that tell the story about the village. This site is listed in the National Register of Historic Places. Visit the site where the 33rd president of the United States was born and see the pine tree his father planted on Truman’s birthdate in 1884. It still stands next to the house today. The historic site consists of the house, smokehouse, well, outhouse and two commemorative monuments plus a site office. The historic site grounds are open year-round from sunrise to sunset with free tours.